Prezentare (Essential Elements for Band). 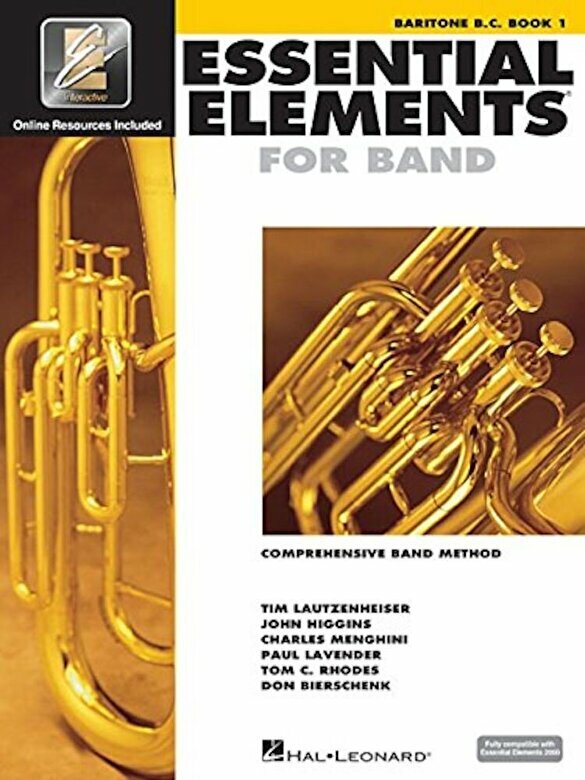 (Essential Elements for Band and Essential Elements Interactive are fully compatible with Essential Elements 2000 ) Essential Elements for Band offers beginning students sound pedagogy and engaging music, all carefully paced to successfully start young players on their musical journey. EE features both familiar songs and specially designed exercises, created and arranged for the classroom in a unison-learning environment, as well as instrument-specific exercises to focus each student on the unique characteristics of their own instrument. EE provides both teachers and students with a wealth of materials to develop total musicianship, even at the beginning stages. Books 1 and 2 also include access to Essential Elements Interactive (EEi), the ultimate online music education resource - anywhere, anytime, and on any device. Go to essentialelementsinteractive.com to learn more Method features: * Enhanced Learning System * Optimum Reinforced Learning * Theory, History, Cross-Curriculum & Creativity * Daily Warm-ups & Rubank Studies * 12 Full Band Arrangements * Rhythm Studies Book also includes My EE Library* (myeelibrary.com) - Instant Stream/Download/CD-ROM* * Start-up video Learn the basics * Play-along mp3 tracks for all exercises Features a professional player on each individual instrument * Duets and trios Print and play parts with friends * Music listening library Hear great pieces for band *Internet access required for My EE Library . Book includes instructions to order free opt. CD-ROM.